For the purpose of your safe use of all information and services on the S.Café ® website, we provide the privacy protection statement of SINGTEX on the personal information provided by customers. Please read the following carefully. The outer cover is made of S.Cafe thread which recycled 25 cups of coffee grounds. 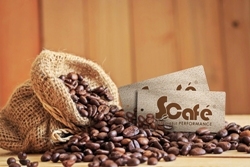 S.Café®, the eco-friendly and sustainable yarn made from recycled coffee grounds, announced to release the online license service for global clients. Clients could apply for S.Café® fabrics functions’ test without charge. Using repurposed coffee grounds making a print layer that has four principle functions: quick-drying touch, odor control, reduces condensation rate, and a tremendously sustainable product. By applying ATY texturing technique to offer cotton like hand feel, S.Café® mylithe retains all of the functions of synthetic material properties. 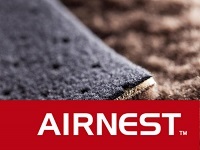 By extracting 25% of S. Café coffee oil to make AIRNEST™ foam , AIRNEST™ presents a new alternative to petroleum-based ingredients, at the same time maintaining high performance in textiles. Made entirely from recycled plastic bottles and coffee grounds, eco²sy® provides great warmth and comfort for everyday use. “Recycle, renewable, carbon reduction” is a way of healthy sustainable lifestyle by not wasting but utilizing 100 % of our recourses.